How do you find inspiration and do you use patterns? I DO!! CTMH has some wonderful How To Programs. 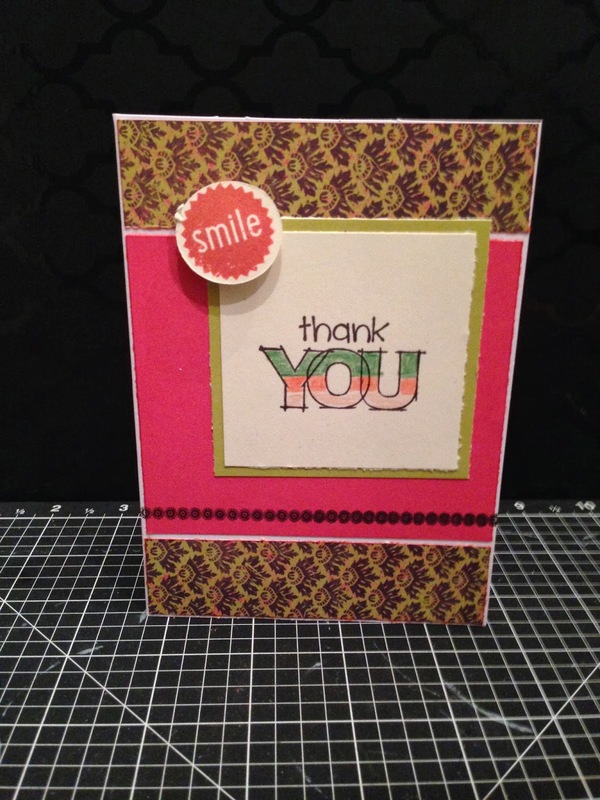 I put together THANK YOU cards using the new Ivy Lane paper packet. I wasn't sure how I wanted the card to look so I took to the Make It From The Heart Vol. 2 guide. 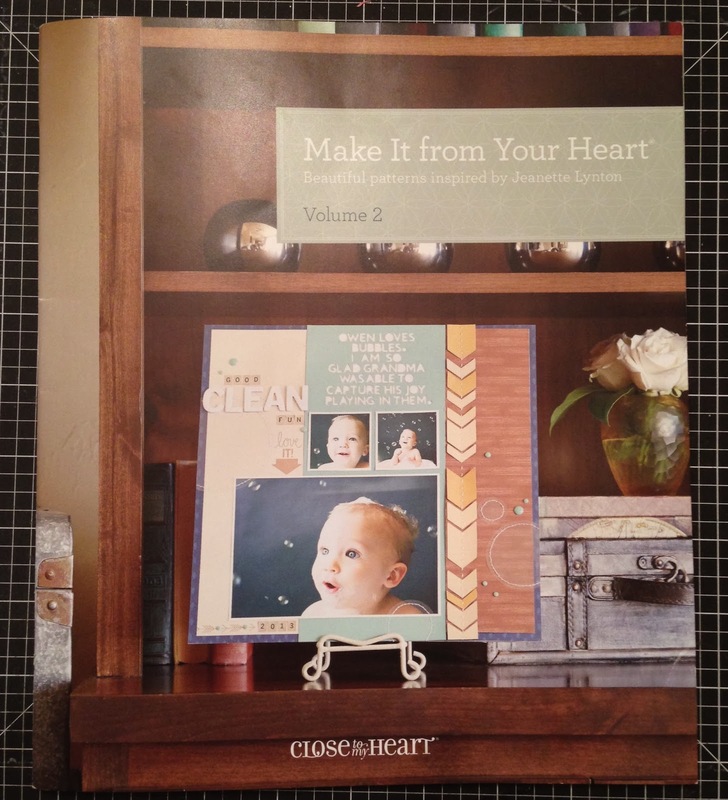 You won't believe this book features 12 card patterns, 16 two-page layouts and 2 single page patterns for $7.95!!! Here is the card I put together. I love the look of Hollyhock and Ivy Lane Green together. The patterned paper is gorgeous and there is some much variety with the double sided B&T duos. Pattern #24 on page 44 is where the design comes from. I used 3 stamp sets, A True Thank You. Artbooking cricut bundle for the "smile" stamp and the border from the Laughing Lola Card Making kit. Stamping was done in black and Hollyhock ink. I used 3-D foam tape to pop up the smile sentiment. The round stamp is a coordinating cricut cut with the Artbooking cricut cartridge cut from pg 83 at 1 inch. I pulled out my CTMH watercolor pencils to color in "YOU" shading from dark to light. I love how the cards came out! Put a smile on someones face and send them a card today! !